It’s been a while since my last update…. Sorry about that. 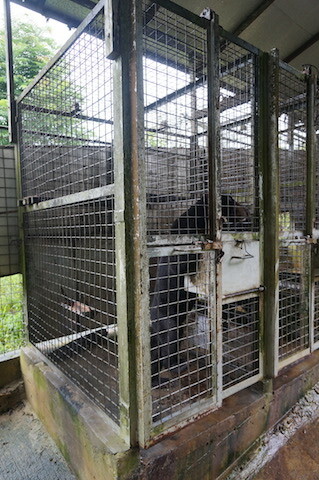 The good news is that since I last wrote, four new cages have been installed, as you can see on the pictures. 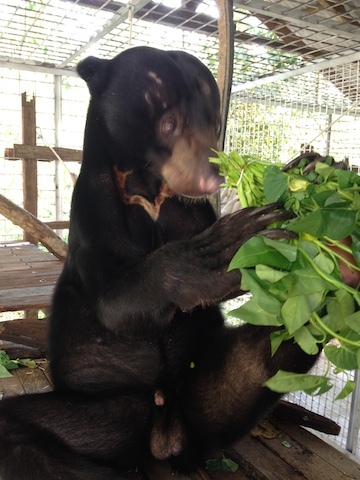 Oscar, a friendly and energetic young male sun bear who was kept in a small holding cage, was the first to be transferred to one of the four new cages. 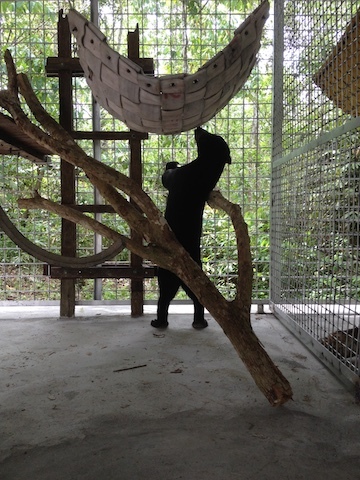 Then next to him we put in Jono, a lively male who always wants to play. I thought Jono and Oscar would become fiends and play together when we open the partition door between the 2 cages, but I was wrong. 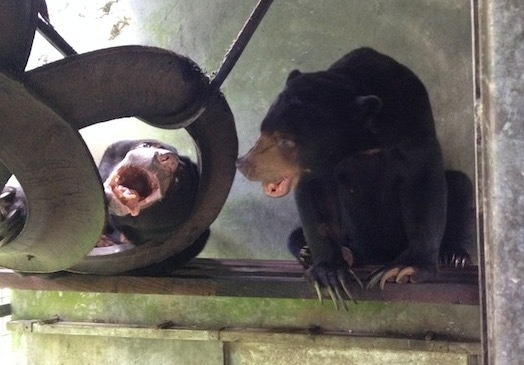 Jono just wanted to fight with Oscar, he was so aggressive that after 24 hours we had put Jono back in his old cage. 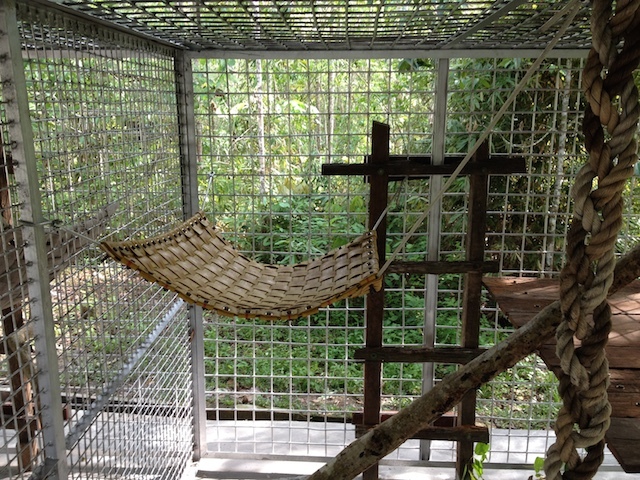 These cages are meant for pairs who get along well. We’ll have to find a new friend for Oscar and another solution for Jono. One pair that gets along very well is Maria and Fahri. 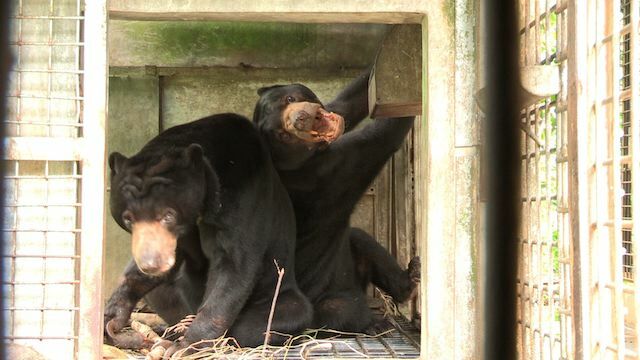 They arrived at Samboja in 2008 as a couple but were separated to avoid breeding. 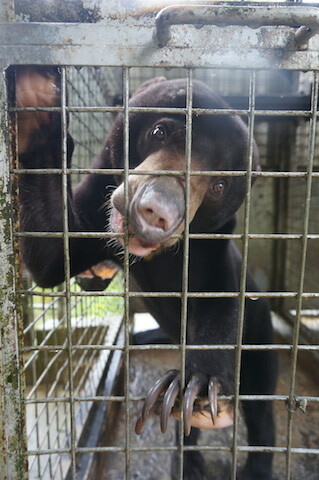 In November 2015 Fahri underwent a vasectomy and he is now reunited with his girl friend since Jan 11th. When they met again for the first time after 7 years of separation, they connected right away like old friends. 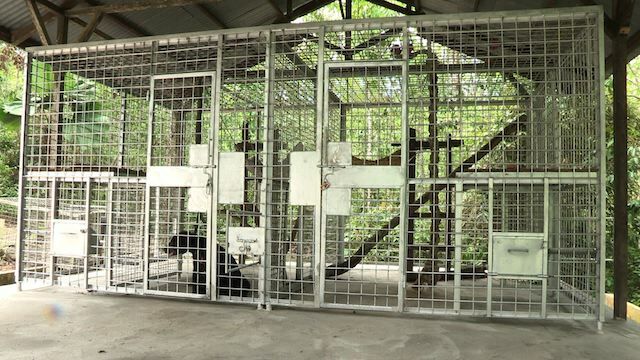 They are now together again as a couple and will soon be transferred to two new cages that communicate through a partition door, while their old cages can be renovated and used for other bears.